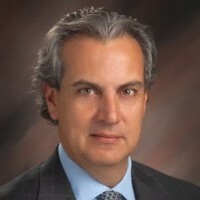 Eugenio is the manager of Blackhawk Network Mexico and has held this position since 2007. Blackhawk Network is a third party provider of gift cards, providing them to convenient consumer locations. Eugenio began working in this business because he has a genuine passion for sales and enjoys the prospect of launching new products. He attributes his success to having a large network of business contacts and having a good team behind him. Eugenio aspires to continue growing the business and looks for possibilities of running other start-up companies in the Latin American region.